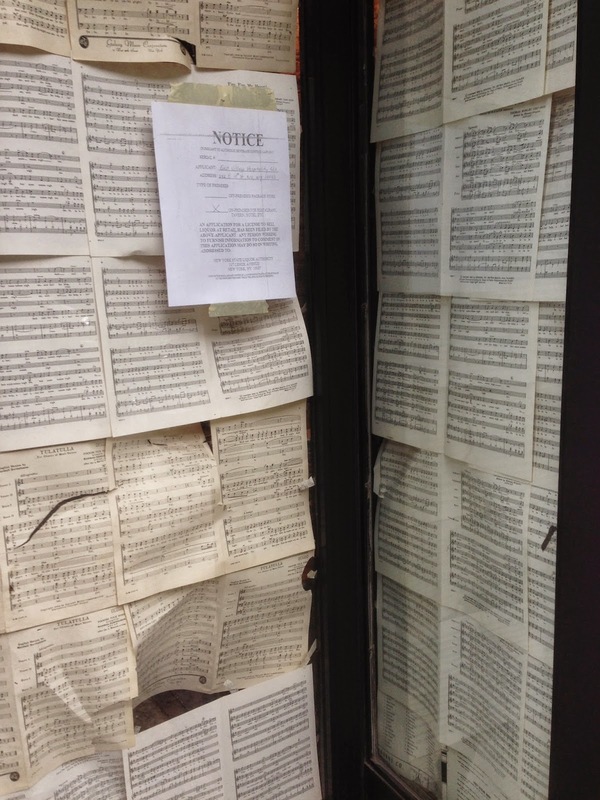 In New York City, businesses in transition often cover their windows with news or craft paper to keep gawkers like me from spying on what's happening inside. 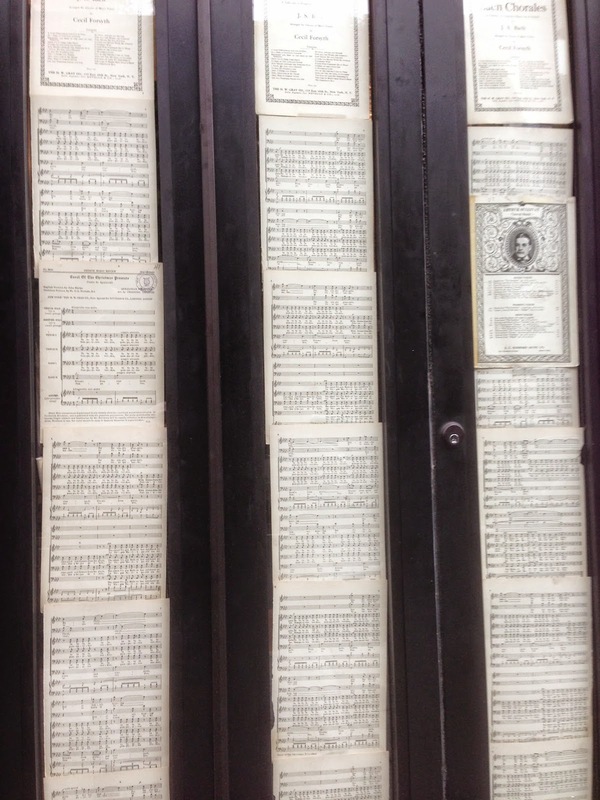 But my interest in these East Village windows has already been piqued with their clever paper concealers: vintage sheet music. 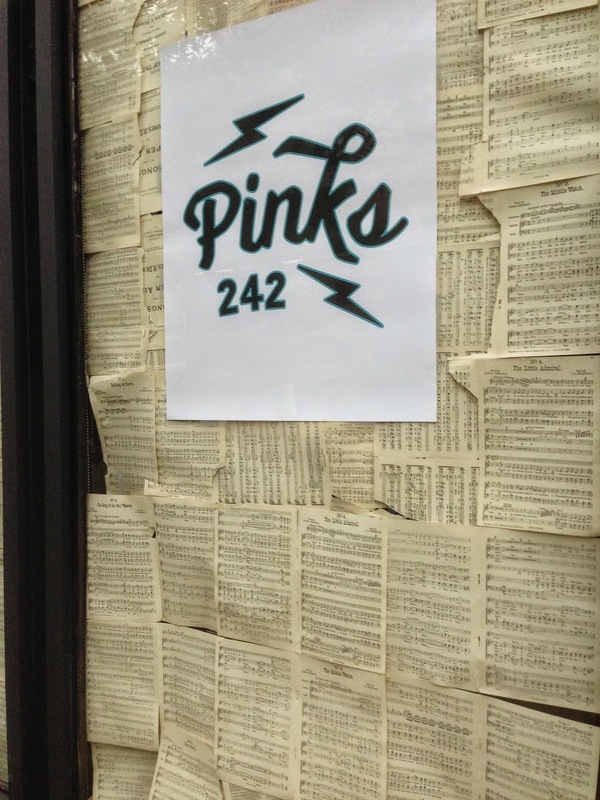 I did a little search on Google and found that Pinks is intended to be a restaurant where acoustic music will be performed. It is already music to my ears...I mean eyes!